Contracting was one of my previous lines in the pond. This line was cast whenever I needed to know I could get fish. I’m not opposed to casting it again under the right conditions. Contracting fits for some people in some situations. In its purest form, the puzzle piece fits perfectly. We don’t use it in its purest form and often we find ourselves forcing the puzzle piece. Contracting, also known as being a contract or contracted worker is when you sign a contract of employment (or I suppose your employer signs such document in some cases) to allow you to be assigned to another company and a finite length project. The project you join has an estimated beginning and an estimated end. Your project continues until completion and when it ends, your contracting ends. Although some choose to become a contractor as a sole proprietor (similar to a single person consultant), more often an agency represents contract employees and employs many persons often across various industries. Contracting is not meant to be a long term gig. You are a temp. Some people on both sides of the contractor/employer relationship look at contracting as a gateway to employment. Employers sometimes scout and scalp contractors. Contracted employees cling to the hope that they’ll be plucked from obscurity and placed into full time care with benefits. This mindset to gain employment is an open secret and since it is mostly harmless, contracting agencies look the other way. 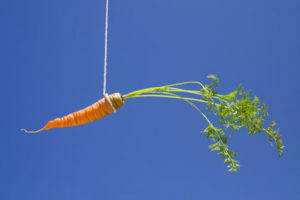 They know they attract more contracted employees in the first place if they can dangle an employment carrot. I always looked at it as a cash infusion, not a gateway into employment. However, this makes some conversations hard. To some, I seem ungrateful. Besides my cash infusion mindset differing, I find the biggest issue is still with how contractors are used as a tool versus as an employee. Contractors are supposed to be used as an independent entity or business. In general, think of it as a subcontracted black box. You have a task or series of tasks that need done. You can assign them to a contractor and get them done, but you only have limited input and only touch base at milestones. When a contractor interfaces regularly with the company, it gets tricky. Breaking a few is probably no big deal. Breaking a majority can get slippery. In short, treating a contractor too much like an employee can warrant paying them like an employee and providing benefits. Just ask the 1996 case of Microsoft versus Vizcaino. A rather famous case, Microsoft settled for 97 million US dollars due to their contractors being treated too similarly. I have seen, heard or read about these rules broken on multiple occasions in various capacities. For the most part, I personally don’t mind too much if a few rules are broken. I try to come in, do work as best as I can and leave with a smile. I do feel there will be a reckoning within the next 5 years and contracting will be readdressed and defined more clearly. There is too much grey area and too many companies are breaking the rules. Perpetually broken rules must be done away or rewritten. But here’s some final food for thought. What would be a line for developing relationships between employee and contractor? Even when high level contract decisions are made, we are still human after all. What happens when work deteriorates because relationships are guarded? Even though we are different companies, we are fighting the same fight so at the end of the day, we are a team, aren’t we? If you enjoyed this article, please feel free to subscribe! Let me know if I got this wrong or right! If you’re a contractor or know contractors, let me know below or drop me a line. If you enjoy podcasts, U Penn did a great single recording conversation to discuss “The Perils of Contract Workers.” Give it a listen. ← Is Facebook Really that Break you want?